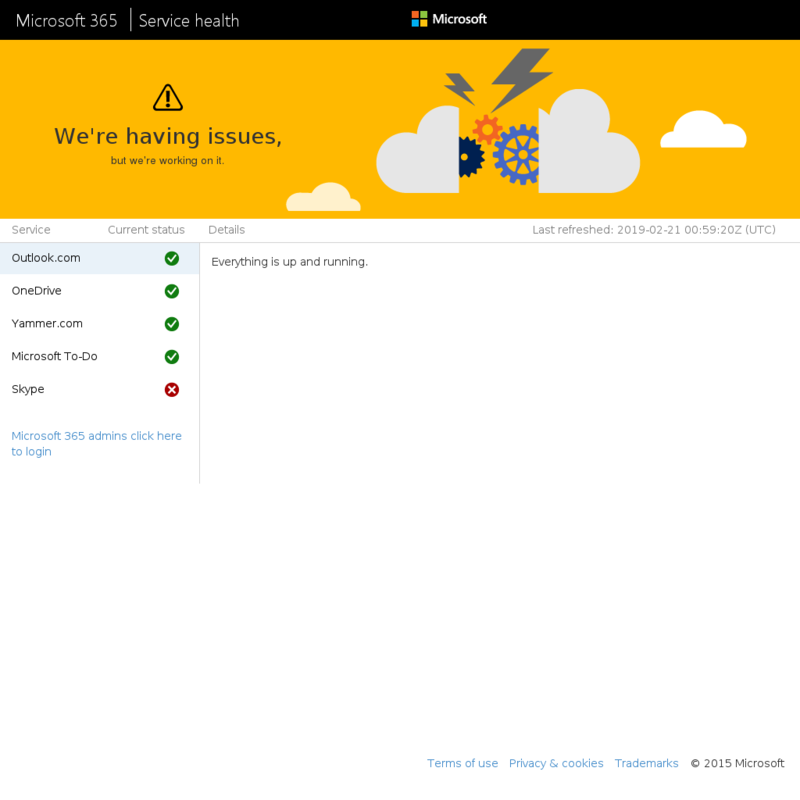 Enter your email to receive FREE instant notifications when Microsoft 365 goes down. March 15, 2019 12:38 UTC WARN about 17 hours Current status: We've identified and are investigating an issue affecting sign-in functionality for Skype when using Android devices. User impact: Some users may be experiencing problems signing in to Skype when using Android devices.